Do you know anyone who battles with headaches? You probably do. Because as much as 15% of the general population gets headaches on a fairly regular basis. Fortunately a lot of these cases are not severe and you can easily treat them by taking some ibuprofen (Advil) every now and then. But severe cases are one of the most difficult problems doctors face. And that's why this new report is so impressive. The researchers looked at a group of five patients with headaches. These cases were not your average cases. All of the patients had failed to respond to every drug out there. And the amount of time they had been suffering was from a minimum of 10 to 32 years. The severity of headaches was such that "extensive periods of sick leave had been taken during the year prior." Over the previous six months each of the patients had an average of 80 headaches and the average pain rating of the headaches was 8.7 out of 10. Here's what happened. The researchers treated the patients with major-autohemotherapy (MAH) using ozone. This is a procedure that some doctors have used for over 50 years. It's a safe and simple process that involves withdrawing some blood, mixing it with ozone, and then re-infusing it back into the body. This was initially done twice a week and, as the headaches became less and less frequent, the treatment sessions were decreased. The average number of MAH treatments each patient had was 27. And the average amount of time each patient was treated was eight months. The patients were followed up for an average of five years. And the results? They were nothing short of outstanding. During the entire follow-up period, absolutely no patient missed work because of a headache. And remember that before the MAH treatments, the average number of headaches the patients had over six months was 80. Well, during the first six months after ozone therapy, that number dropped to zero! And these initial amazing results almost persisted for the entire five-year follow-up period. 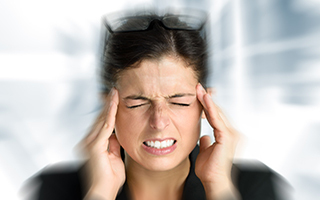 Even at the end of five years, the average number of headaches over a six month period was six. And the pain had dropped from an initial 8.7 out of 10 to 1.1. And what about side effects? There were none. 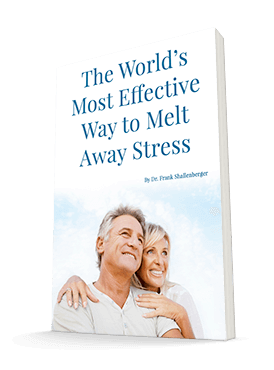 In fact, all of the patients reported feeling more energy after each treatment. So if you are suffering from severe headaches and can't find any kind of help, find a doctor trained in MAH. The odds are likely that you will see an amazing improvement. You can find doctors trained in ozone therapy at the website for The American Academy of Ozonotherapy, www.aaot.us.